Orchestral Orbs | Just Shooting Memories! 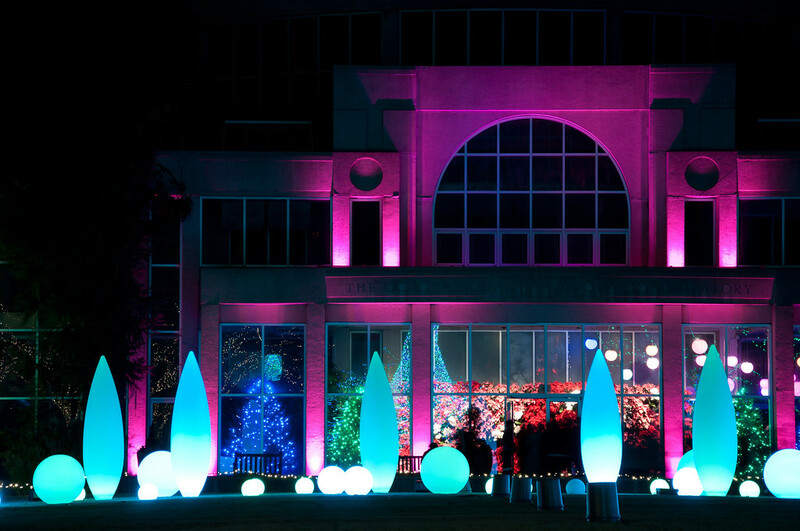 One section of the Garden Lights at the Atlanta Botanical Gardens were the Orchestral Orbs. They were globes set up all around the Great Lawn and choreographed to Christmas music to change colors. I tried several times to get some good shots of all the orbs, but the exposure was too long to get the background lit also. When you mix color changing objects in a photo, you get the sum of their colors…white. I shortened the exposure time significantly to get this one and retain the colors.